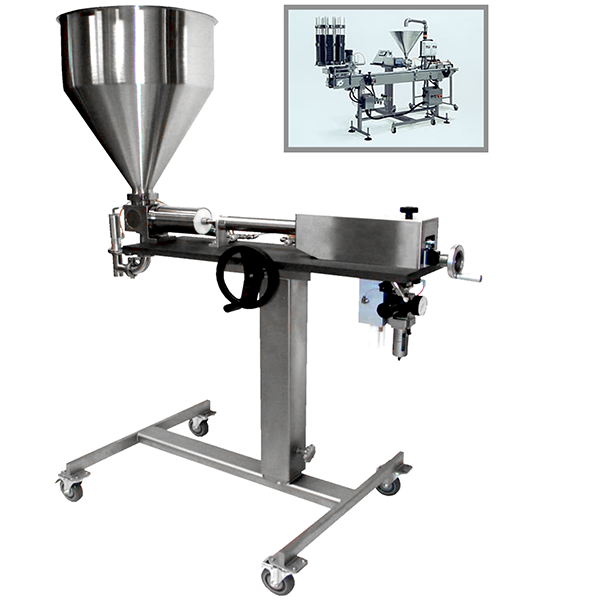 Right now, MPBS Industries provides 2 kinds of fillers; 1-64 single piston filler and 2-64dual piston fillers. 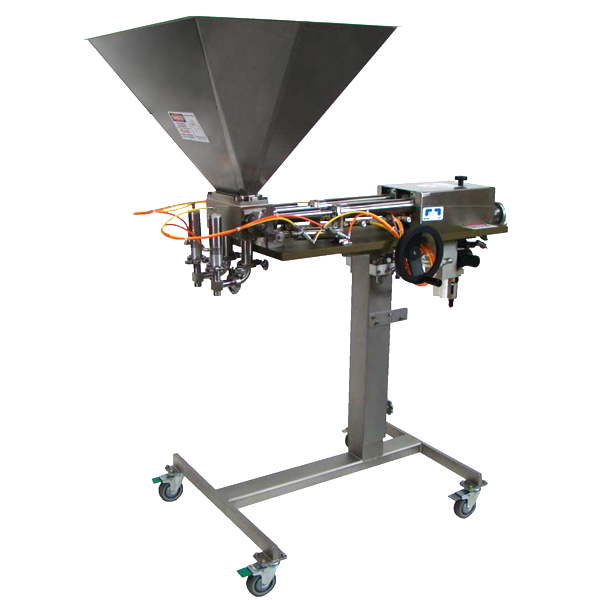 The 1-64 single piston filler are the classic workhorses of the baking and food processing industry. Both of the fillers are easy to clean and operate. Large port openings permits filling of chunky ingredients without crushing. Our fillers reduce cost with accurate filling and depositing into trays, bottles, cans, pouches, or when targeted onto products. Please feel free to contact our professional sales and service staff to answer any questions you have.